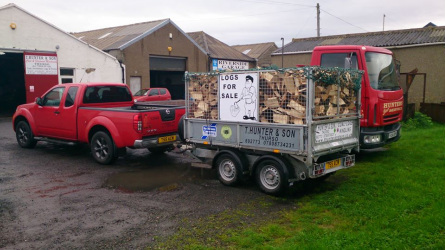 At T Hunter and Son we pride ourselves in supplying our customers the best products possible at competitive prices. 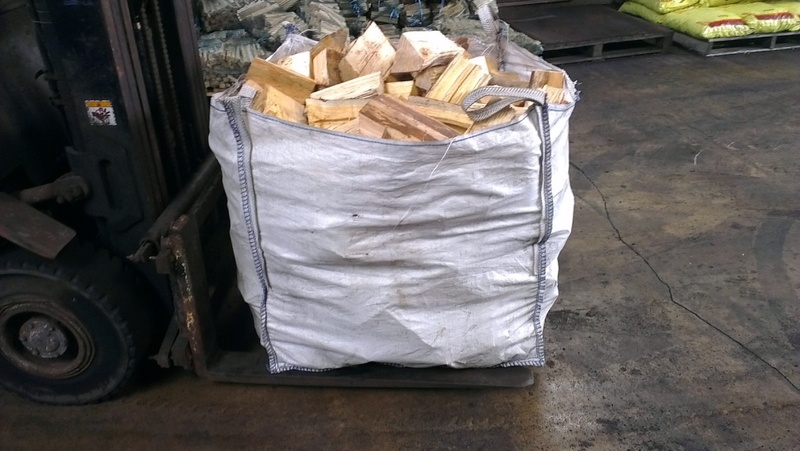 All wood supplied by T Hunter and Son has less than 21% moisture content which is ideal for burning. This is achieved by storing the logged wood inside buildings to allow drying. 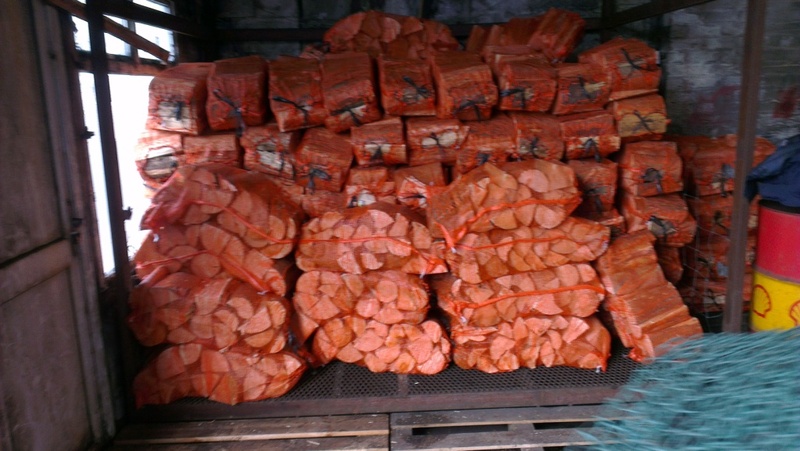 Remember by burning damp wood the majority of the energy produced is used up drying the log while burning. The moisture then has to go somewhere -- and that’s up your chimney. Which will eventually get covered in tar and heighten the chances of a fire in your chimney. 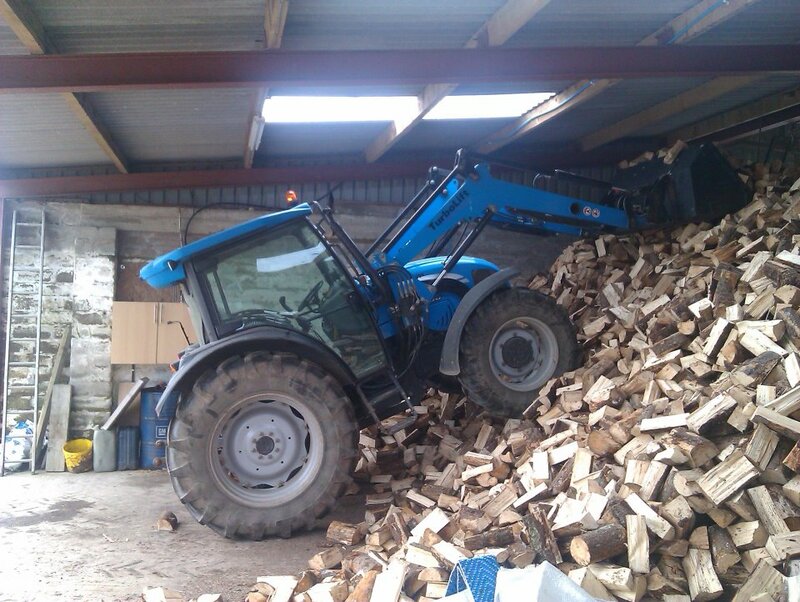 Nobody takes the care like T Hunter and Son to ensure you get dry wood. 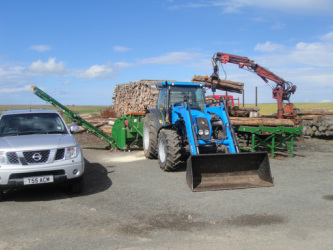 We process your wood using the best machinery on the market today. We are currently using the POSCH 350S which comes with a powered log deck to reduce manually handling and increase safety. The logs are cut with a massive 900mm tungsten tipped blade and split into uniform logs using a 13 ton splitter. We also produce kindling on a machine that makes kindlers quicker than you can put them in your fire. The net bags are mainly cash and carry from the yard. Big Bags get delivered when the coal delivery lorry is in your area and tipped as close as possible to where you want them. The truck and trailer loads are delivered any time or place that suits the customer. Just phone 01847 892773 for further information. Wood is wood? Not really, T Hunter and Son take the time and effort to supply UNIFORM DRY QUALITY logs to ensure our customers get the best service available. Its best to season wood outdoors through the summer for at least 6 months before burning it. Properly seasoned wood is darker, has cracks in the end grain, and sounds hollow when smacked against another piece of wood. Wood burns best when the moisture content is less than 21 percent. You can purchase a wood moisture meter to test the moisture content of your wood before you burn it. To maintain proper airflow, regularly remove ashes from your wood-burning appliance into a metal container with a cover and store outdoors. Never burn household garbage or cardboard. Plastics, foam and the colours ink on magazines, boxes, and wrappers produce harmful chemicals when burned. They may also damage your wood-burning appliance. Never burn driftwood of the beach, plywood, particle board, or any wood with glue on or in it. They all release toxic chemicals when burned. Never burn wet, rotted, diseased, or mouldy wood. Keep all flammable household items—drapes, furniture, newspapers, and books—far away from your open fire or appliance. Start fires only with newspaper and dry kindling. Never start a fire with gasoline, kerosene or a propane torch. Build hot fires. For most appliances, a smouldering fire is not a safe or efficient fire. Regularly remove ashes from your wood-burning appliance into a metal container with a cover. Store the container of ashes outdoors on a cement or brick slab (not on a wood deck or near wood).